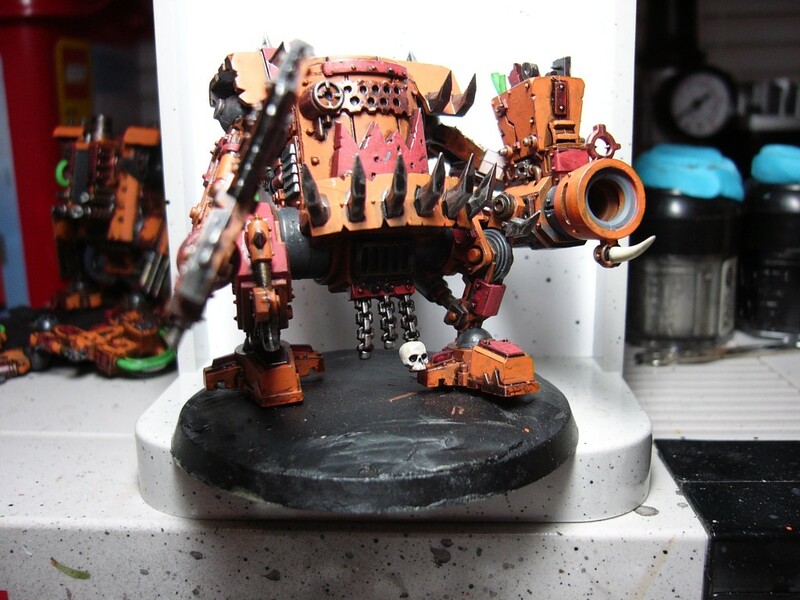 In any case, I’m currently finishing up three Killa Kans. 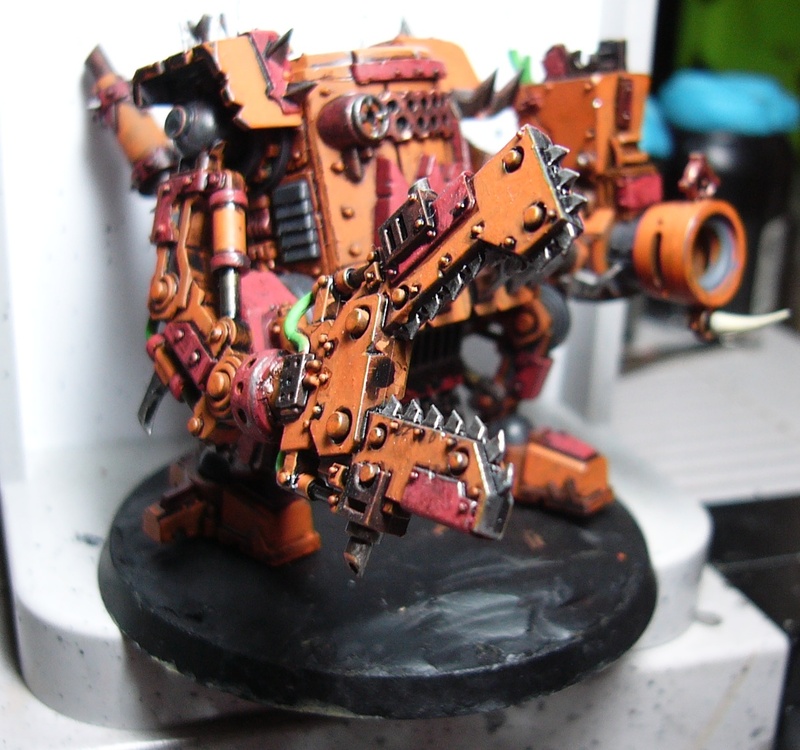 This is also my first attempt at adding battle damage to my models. You can see it best in the next photo. You should be able to see along many of the sharp edges, it looks like the paint has been ground off, leaving naked steel underneath. This effect is done cheaply by running a #2 pencil over the raised surfaces.